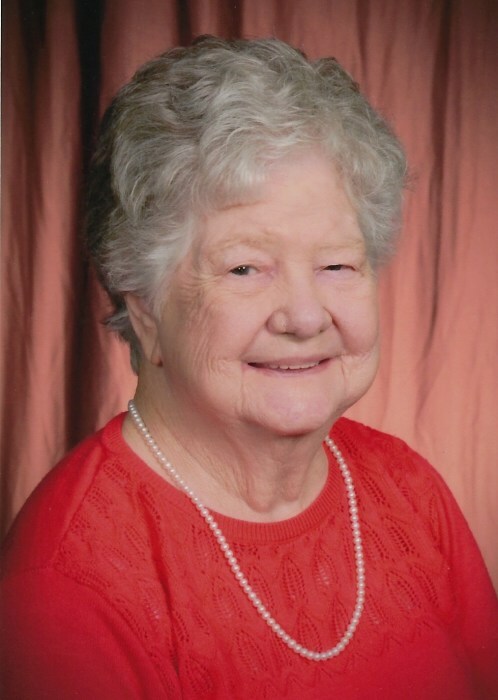 Mary Grace Stanford, of Pleasant Grove, passed away Friday, November 16, 2018, at the age of 90. She was a member of both the Eastern Star and Bethel Baptist Church of Pleasant Grove. She is preceded in death by her stepson, David Stanford. She is survived by her husband of 49 years, Arlice Stanford; 2 sons, Eddie Godsey (Jan) and Joe Godsey; 4 daughters, Patty Mosier (Jim), Barbara Jones (Clarige), Tommy Hill (Billy), and Donna Self (Harry); 3 stepdaughters, Cindy Gray (Billy), Nola Stewart, and Terry Johnson; numerous grandchildren and great grandchildren; and her sister, Margaret Dungan. The family will receive friends from 10-11, Monday, November 19, 2018, at Currie-Jefferson Funeral Home, Hwy 150 in Hoover. Interment will be in Jefferson Memorial Gardens, South.